It is widely known that an abundance of natural light in the room has vital and beneficial impact on mood of its residents. This is of great importance not only in houses or flats, but also in hotels. The correct arrangement of windows and ample natural light make guests coming back from holiday satisfied and completely relaxed. In order to ensure daylight in every room it is sometimes required to take advantage of special solutions. You will find below hotels from different countries where thanks to the installation of FAKRO roof windows dark rooms have turned into magnificent apartments under the sky. A number of unique solutions have been incorporated into design of the project. A special covering has been applied along the side walls and the roof. 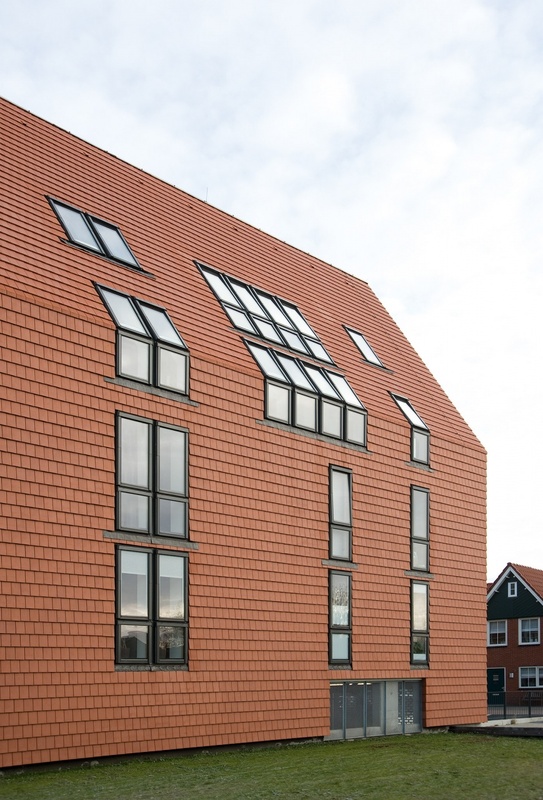 A stylish supplement to the facade is the combination of FAKRO vertical and roof windows that run along the entire wall, inviting a large amount of natural light into the room. The architect was well aware of the influence of natural light on the well-being. 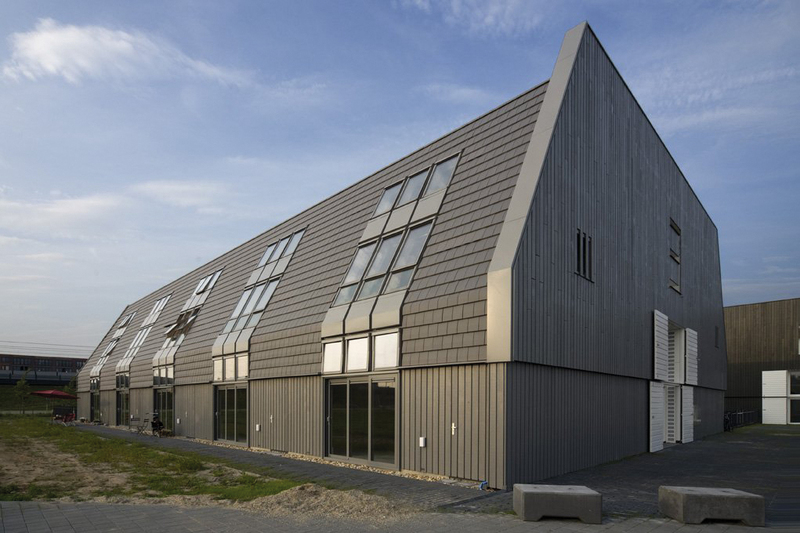 The entire facade in graphite colour has been decorated with large combination of FAKRO roof windows and vertical windows. Vertical glass stripes symmetrically arranged along the facade not only provide natural light, but also make the building change its appearance depending on time of the day and season of the year. Small guest house in the village of Przewłoka built on a rectangular plan with a compact shape resembles a country cottage. The aim of the project was to combine tradition visible in the outside appearance and modernity perceptible inside. 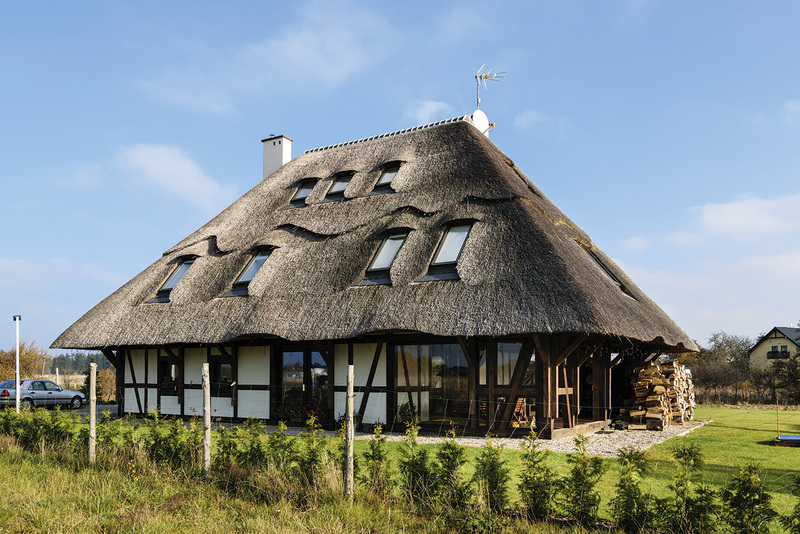 Thatched roof with bright facade decorated with wooden beams gives this place an idyllic climate where a touch of modernity can sneak thanks to applying a large number of FAKRO windows. Spa & Thermal Pools located by Monticelli Hotel in the province of Parma, Italy. The building is equipped with indoor swimming pool where you can relax and regenerate your power. 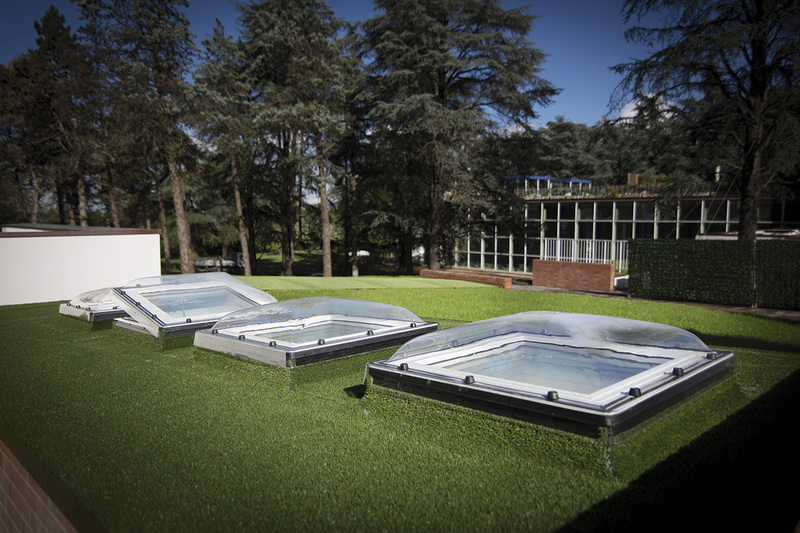 Green roof over the swimming pool has been fitted with FAKRO type C flat roof windows with durable polycarbonate dome. This solution allows not only for the influx of high quantities of natural light, but also gently blends into the surrounding landscape.